The largest cable system operator in the U.S. is hungry. Not content with its leading position among cable providers, Comcast seeks to broaden its customer base by extending the appeal of its video platforms. To this end, the company signed a contract with Amazon to carry Prime Video. Comcast will carry the premium video service on its XFinity X1 platform. Comcast customers can use their X1 remotes to navigate all Amazon Prime Video content, some of which is available in 4K and/or HDR formats. To view in 4K or HDR, customers will need equipment that supports these formats. 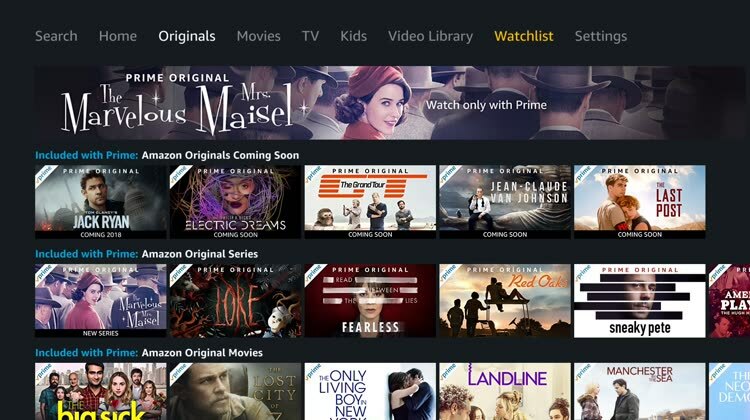 For access to Amazon’s video service, the X1 customer will need an Amazon Prime Video subscription. Comcast said the new video app will be available on its X1 boxes late this year. The cable giant also plans to include Netflix subscriptions with its programming packages, and will carry YouTube TV before the year ends. Comcast has more than 21 million video customers in the U.S. About 60% have X1 equipment. The XFinity X1 is an advanced whole-home HD DVR. It will store up to 60 hours of HD programming. The DVR is cloud-based for easy access through multiple devices. The X1 features six tuners, so the viewer can record up to six shows at once, or watch one while recording five others. It also enables transfer of content to mobile devices, for viewing away from home. The X1 offers multiple advanced features, including automated search and updated sports stats, weather, news, traffic, and voicemail. The X1 can be activated by voice command. We are an independent clearinghouse representing all major TV, internet, home security, and home automation service providers in America. Because we represent so many different providers, we can give you objective comparisons to help you find the services that best meet your interests and budget.